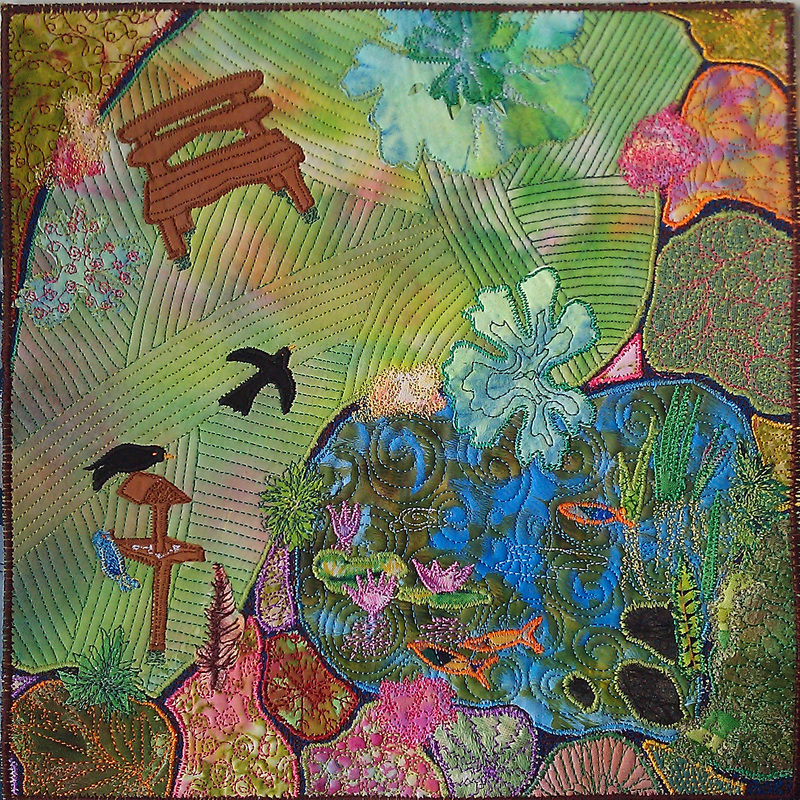 Self dyed fabrics, commercial fabrics, applique, free machine stitch and machine embroidery. 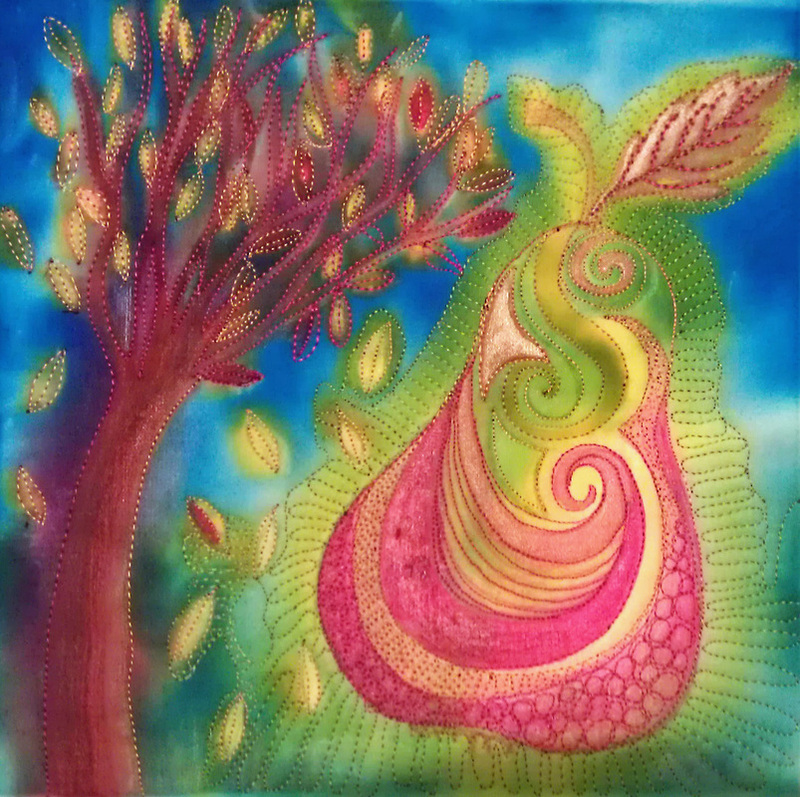 Silk paint onto damp cotton, free machine stitch. 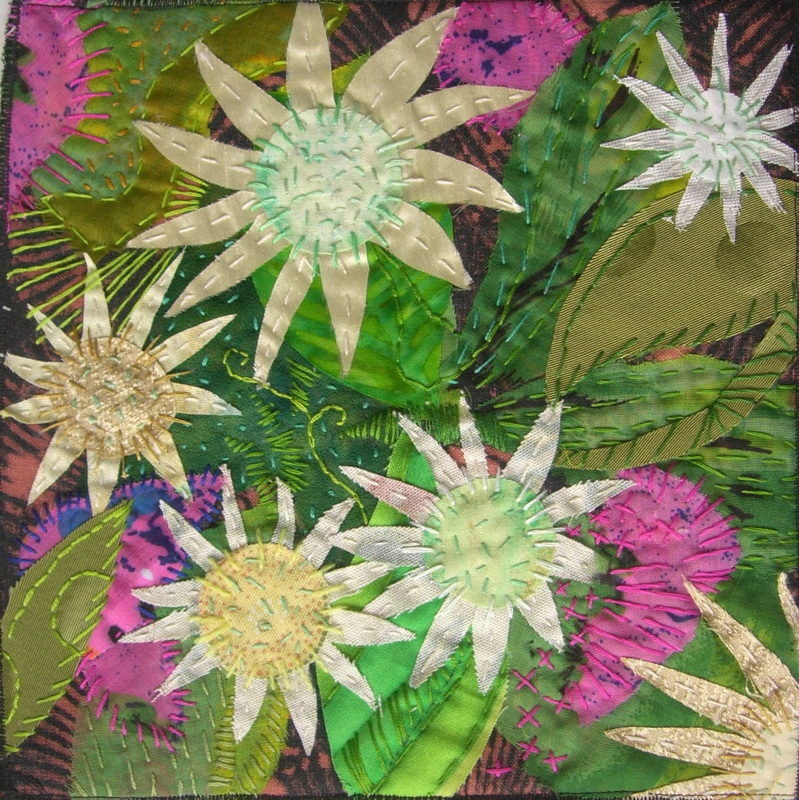 Applique onto hand dyed and commercial fabrics, free machine stitch and hand sitch.